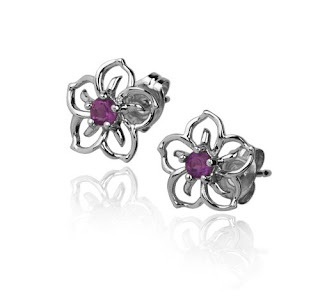 The Coupon Centsation: Sterling Silver Amethyst Flowered Earrings Only $12 + Free One Day Shipping! Sterling Silver Amethyst Flowered Earrings Only $12 + Free One Day Shipping! Here's another great gift idea for Mom! These super cute Sterling Silver Amethyst Flowered Earrings are currently priced at just $12 (marked down from $34.99)! Plus these earrings are part of a special promotion with Amazon right now, they qualify for free one day shipping! Get them in plenty of time for Mother's Day!